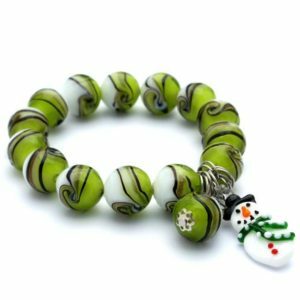 A lovely bracelet with glass multi-coloured beads and a glass Snowman bead. The bracelet is on an elasticated string so will fit most sized wrists. Unstretched the inner diameter measures 5cm (2 inches).